If you have a compressor hose & fittings, you will need to purchase a 0.25" male fitting. 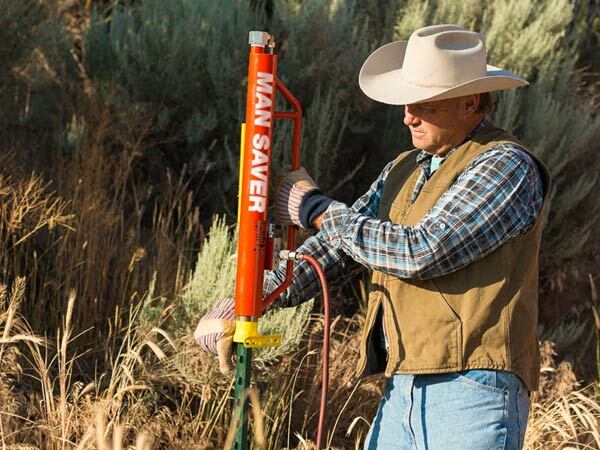 "I have rocky soil here and driving posts is not a pretty job. I've tried most other drivers, including gas driven ones, and this one is, hands down, the one for me. I can drive more posts with less effort, and the tool seems pretty straightforward and robust. Of course it will not split large rocks, but it will get through a lot. I'm pleased so far. Plus, I like the people I've spoken with at the company." Discovery many installation solutions including what adapters to use, how to always carry your post driver with you in your truck, and other solutions for specific jobs.